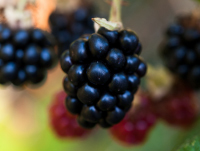 We love to grow and currently we grow a variety of strawberries, raspberries and blackberries. Our fruit is grown in fields, heated and cold glasshouses and in polytunnels here on our farm in Co. Wexford with water from our own natural water well which has helped us produce great tasting fruit for over 50 years. We only supply fruit which has been grown and produced on our farm. We also have a stock of frozen fruit which is available throughout the year with retail and wholesale prices available. 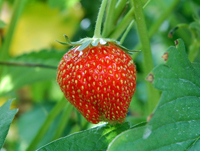 We grow different varieties of strawberries such as Centenary, Capri, Morano and Elsanta. With over 50 years experience in growing strawberries in Wexford, we pride ourselves on producing the best tasting and quality strawberries. Strawberry picking season starts in April and continues right up until the last pick in November. 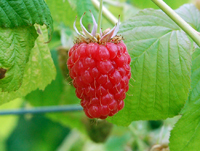 We grow the Glen Ample variety of raspberries which are large, tasty, deep red raspberries. The fruit freeze well so any excess can be used later. They also make excellent jam and jellies, as well being delicious fresh fruit for desserts. Fresh raspberries are picked from June until September. We grow the Loch Ness variety of blackberry. They are of excellent quality, glossy black and have good flavour. Being part of the Wexford Fruit Producers group, you can also find our fruit in Dunnes Stores, Supervalu, Aldi and Lidl amongst others . See our website at www.wexfordstrawberries.ie for more information on our growers, lots of news and recipes. For more information on retail and wholesale prices contact Jim or Susan on (053) 92 55495 or email: sales@kearnsfruitfarm.ie.